152228. 10d SG210 a superb used full pane of 20 with margins. Cancelled by superb upright Guernsey, Gibbons G56, parcel post sans –serif strikes all neatly applied. 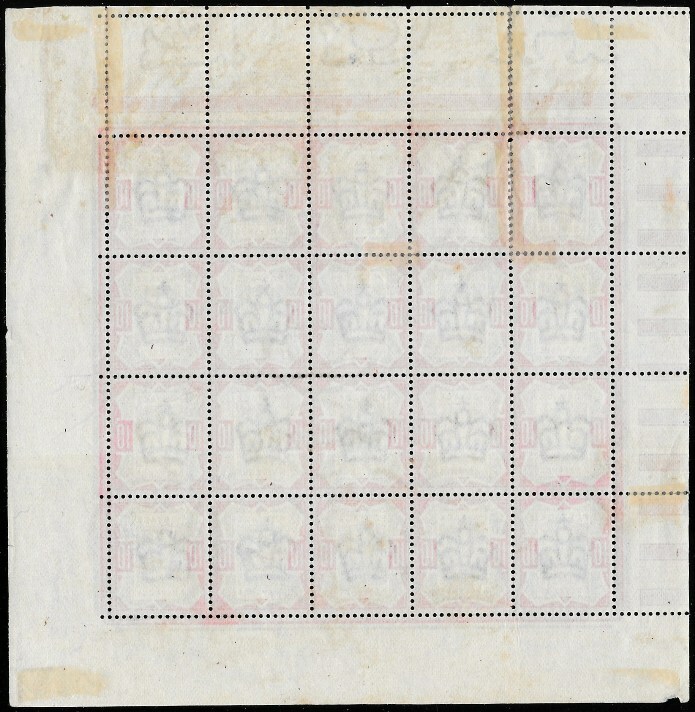 the left half of the Mill Sheet and from a Pane ‘D’ position on the issued Post Office sheet of four panes of 20. The arrangement of the interpane pillars shows those of the Second Marginal Setting. in Head Plate 2 the rules are cut sharply on the diagonal. There is apparently a date cut in the purple rule at the right which we have never seen on this 10d value mint or used. There is no mention of any such breaks in the Jubilee line in the ‘De La Rue Years’ by Wiseman. 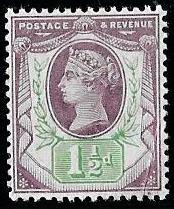 The colours of the purple and carmine are excellent and the purple is as deep as we have seen on any mint examples. As per the scan of the reverse side, a few perfs have been strengthened with small hinges. That so few perfs have been strengthened, bearing in mind the pane has been removed from its original parcel, is remarkable. There is a light horizontal crease/wrinkling on Row 3. 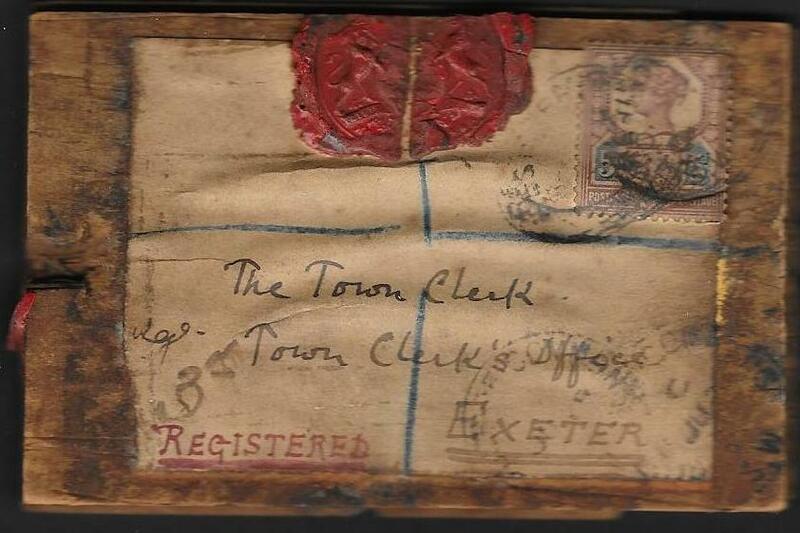 Only four complete used panes that are known to exist and all used in Guernsey with this same parcel post cancellation. We have seen each and sold one of them some time ago but its condition was nowhere near as fine as this one. The pane of 20 offered here is by far the finest of those extant and the only one with such clear upright Guernsey strikes. A truly exceptional item and considerably rarer than mint panes from Setting 2. A very attractive and memorable item of Exhibition importance. NB: the scan does not bring out the colours or their freshness. The top interpane margins is much cleaner than in the scan. The left interpane margin appears to have been guillotined before issue. with a light cds, July 1895, and tied to a small piece. Priced by Gibbons at £750 before the 50% premium for so lightly cancelled is added. Offered with a clean PEGB Certificate confirming the shade. and not having been soaked off has helped preserved the shade. attached to a small piece of a linen envelope, some light wrinkling and overlapping of perfs. Cancelled by six Glasgow cds’s for October 23rd 1890.
which increases to £840 when the cds premium is added. NB: the green colour is very fine which the scan does not show. 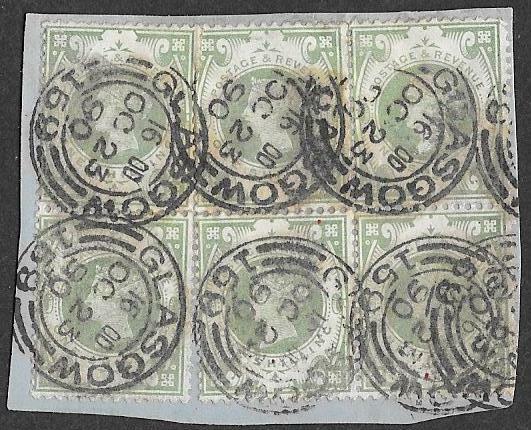 block of 4, London cds’s on each stamp, August 17 1888.
priced by Gibbons at £260 including premium for cds cancels. the well known block of ten 1d blacks used on May 6th 1840.
a Registered Cannon Street BO oval for August 29th 1896 with 1/2d SG197. 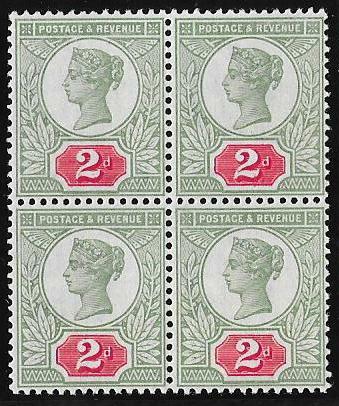 The 2d's are printed in the scarce deep-grey green shade, SG SpecK30(4). with the lightly used premium of 50%, at £255. Pro rata for a block of 6, the figure is £380. This is the finest and largest used block of this scarce shade we have seen. NB; the scan does not do justice to the shades or condition. 151950. 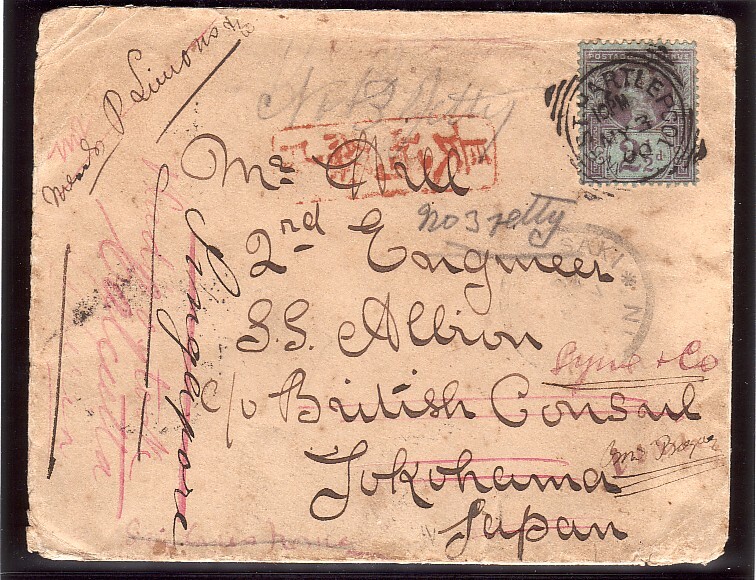 Two pence halfpenny, SG 201, envelope from Hartlepool to Yokohama, Japan, May 3rd 1900. Mr Gill, Second Engineer, to his various ports of call over an almost 12 month period!! let us hope so after such effort by the various postal administrations. A very fine and rare memorable display item. NB: in better condition than the scan and very fine considering its travels! Parmenter, 'Barred Numerals of London', Page 294, the Money Order Office, London. 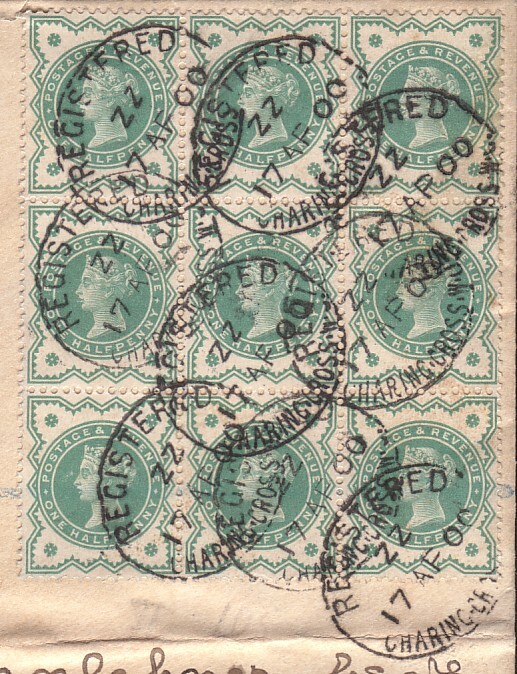 Each stamp has also been pen cancelled over the oval in bars. and notes that it has been recorded on stamp only. a multiple usage in this size. cancellation and vertical pen line and that in a block of 4. Block of 12: Liverpool Roller. cancelled by neatly applied three lines of the LIVERPOOL roller canceller used on parcels. 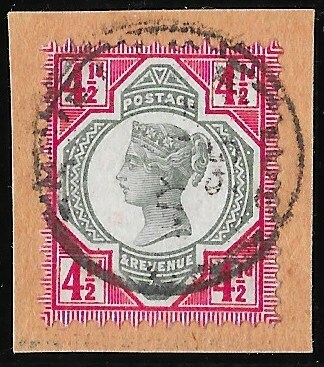 Very clean reverse with two stamps very light wrinkles. Attractive and scarce so fine in this size of multiple and with NO perf separation. Block of 12: Hackney Parcel. 151500. SG213, superb used Block of 12, HACKNEY, London, double ring cancellation used on parcels. Extremely clean reverse with two small hinge remnants and NO perf separation. 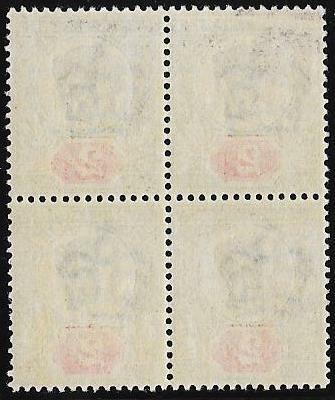 Very scarce/rare so fine in such a large block. two 1/2d SG197, tied Leeds duplex, July 23rd 1895. Fine hand drawn sketch on the front of the envelope - roughly opened on the reverse top flap. Contents are a printed letter from the Yorkshire Union of Institues and Yorkshire Village LIbrary. 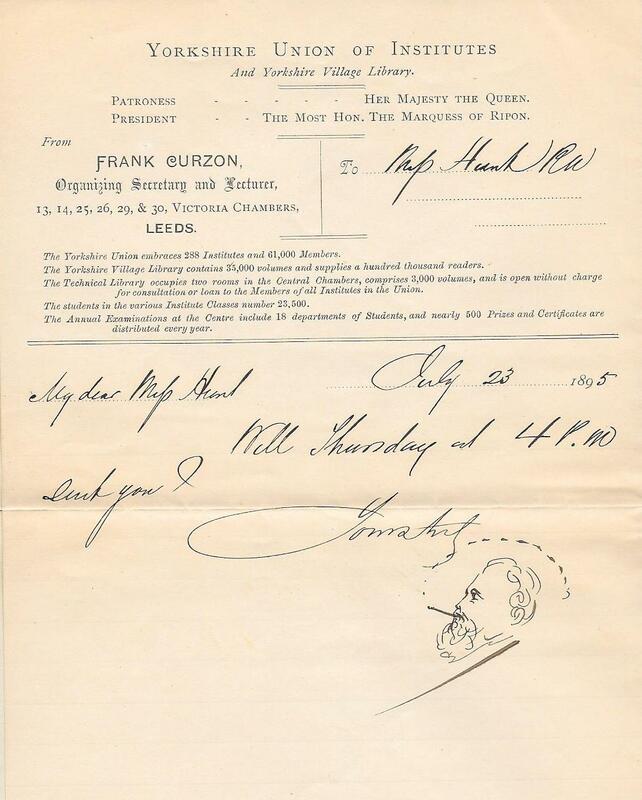 The letter also has, after 'Yours truly', a sketch of the sender, Frank Curzon, instead of his signature. From our researches, we are aware of one other of his letters, not hand illustrated, also 'signed' in this way. 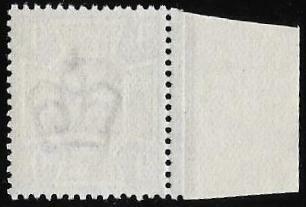 The sketch has incorporated two Jubilee issue stamps. In finer condition than the scan. NB: we can not recall seeing a letter signed with a drawing of the sender. In Memoriam for Queen Victoria on the day of her burial. 151492. 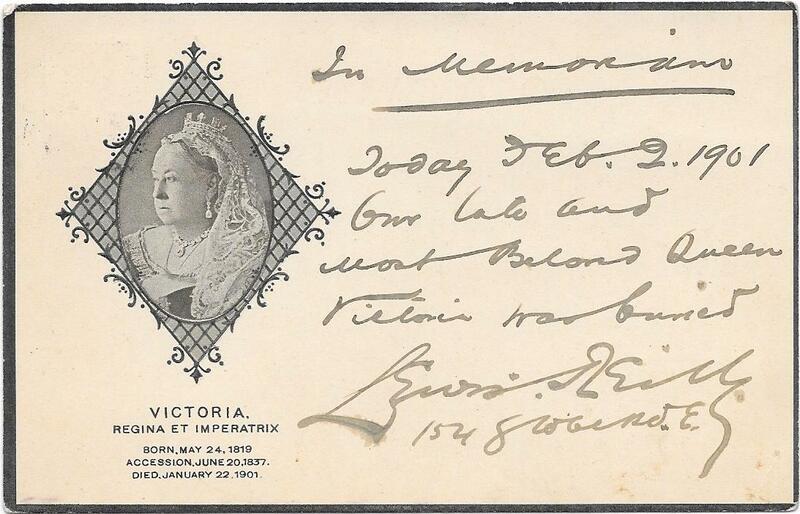 1/2d SG213: on a fine Mourning Card for Queen Victoria. 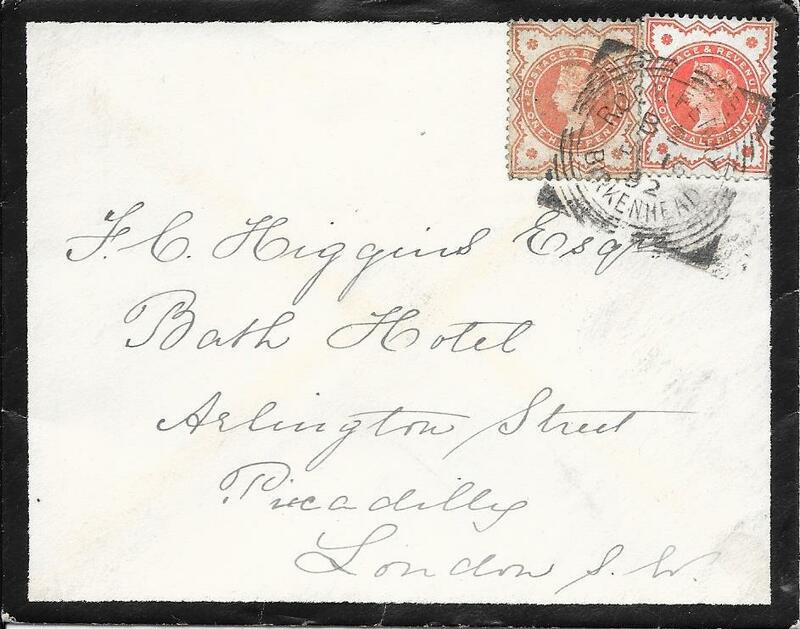 A small corner crease bottom left and sent within London, February 2nd 1901.
used on her burial day, some 11 days after her death. in Post Office fresh condition. 151875. 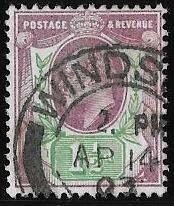 4d SG205a, used example with only a trace of cancellation at the top. A damaged top corner but it has INVERTED watermark. Priced by Gibbons at £650 and at £975 with the 50% premium for so lightly cancelled. where it might have been hinged for displaying the reverse. NB: the green of the head plate is much greener than the scan. a single central BEYROUT Britsh Post Office hooded circle date stamp for August 1 (18)98. 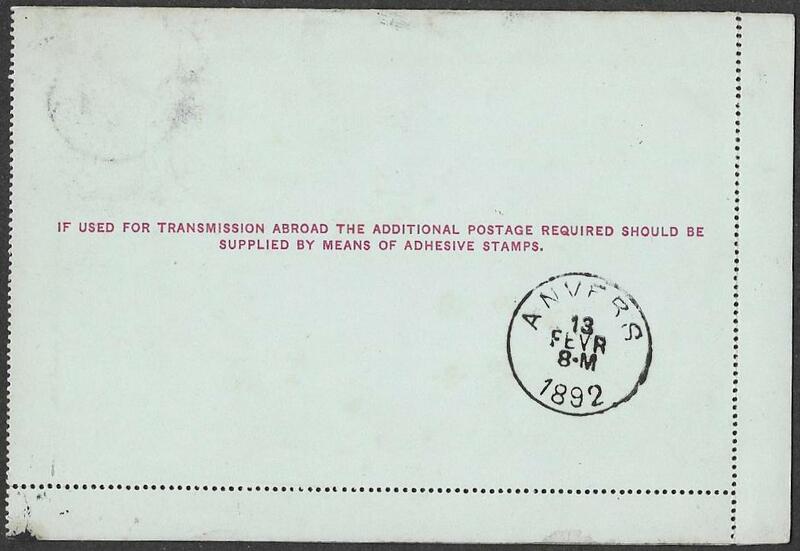 Parmenter in 'GB Used Abroad' records this cancellation in use to February 1906. Very attractive and very scarce in such superb condition. 151818. Niger Coast Protectorate Oil Rivers: SG5, 5d Die 2, superb unmounted mint block of 4. 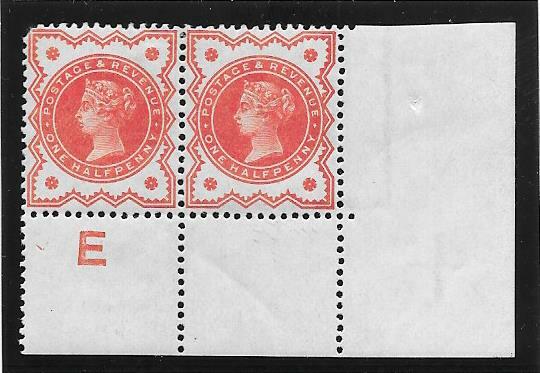 ‘Jubilee’ issue stamps were sent from Britain between blotting paper. 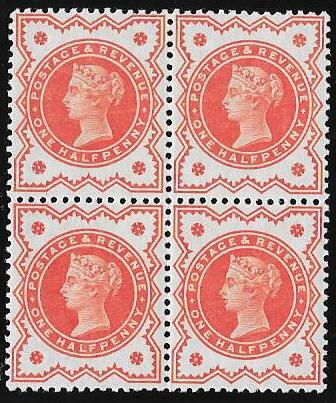 Consequently, mint stamps often have reddish fibres on the gum from the blotting paper. There is some slight evidence of this on the reverse. 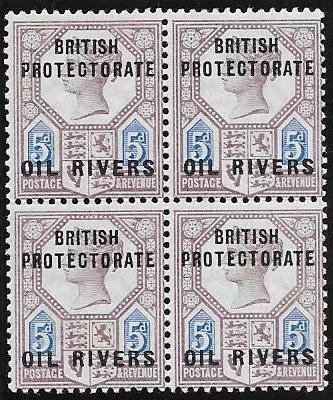 the number of the Oil Rivers Protectorate overprints is given. For the 5d only 33,540 were printed. in more than 40 years of specialising in the 'Jubilee' issue. The broken marginal rules, of the third and final marginal setting, show the colour to advantage. even though they occasionally offer mint examples for sale. 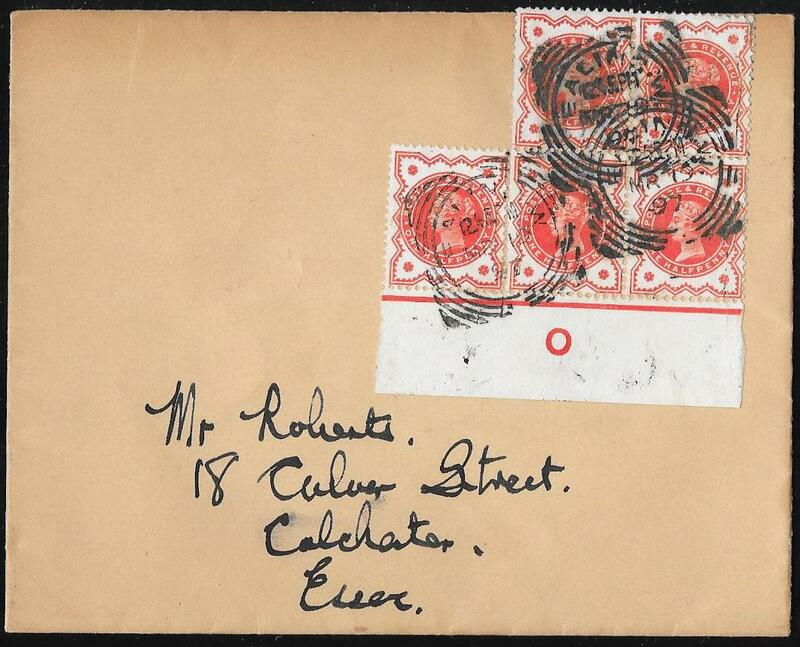 priced by Gibbons at £550 for an unmounted mint single stamp. we sold the largest known block, one of 15, in 1996. A fabulous item for which the scan does not do justice to the shades. NB: the green is much stronger than the scan and is in its original colour. 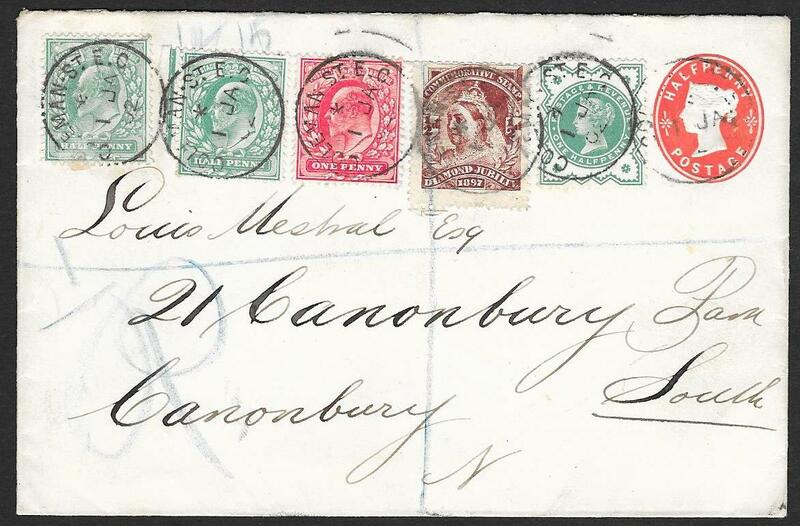 All cancelled by very fine London E C scrolls for FEBRUARY 12th 1892 - the SECOND DAY of issue. A rare item especially in such superb, and complete, condition. superb unmounted mint vertical pair in Post Office issued condition. The scan does not do justice to the superb fresh original colours. and the sixth very very lightly mounted. Couple of light gum wrinkles but an attractive corner marginal positional piece. from the pane 'H' position on the bottom right corner of the Mill Sheet. with earlier issues eg line engraved and surface printed as well as on rare Late Box mail. is only seen on Foreign mail and rated RARE. 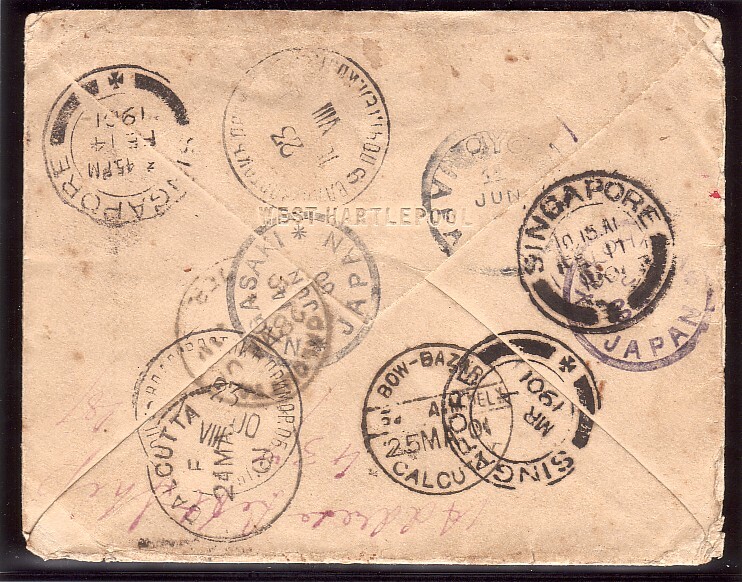 The 5d postage paid by 2d SG200 and 3d SG203. The 1/2d SG197 has been added to pay the LATE FEE. line engraved, surface printed with a current Jubilee issue stamp. NB: the scan does not do justice to the shade of the 5/-. illustrating the two different types of perforator. from a vertical comb perforator and no outer corner perf hole bottom right. A scarce variety listed by Gibbons but unpriced, Spec K22a. an outer corner perf hole bottom right. on the top right hand stamp of the right hand block. 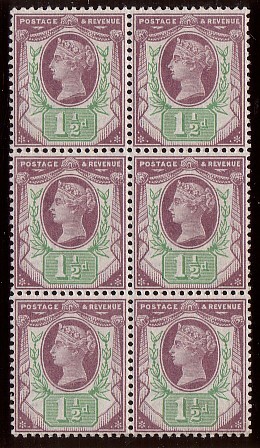 The top left stamp of each block is very lightly mounted. An attractive and very scarce pairing. 151622. 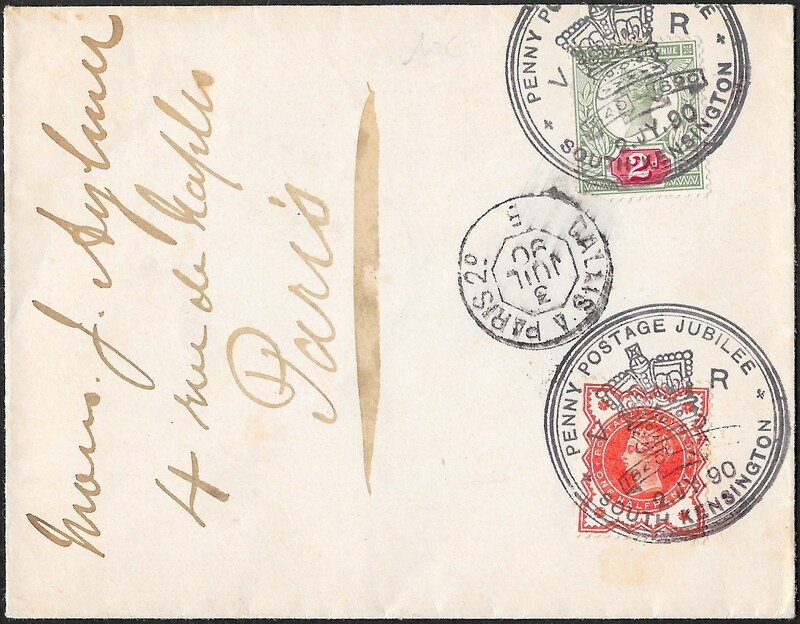 Registered front from the Field Post Office - British Army South Africa - to Market Drayton. 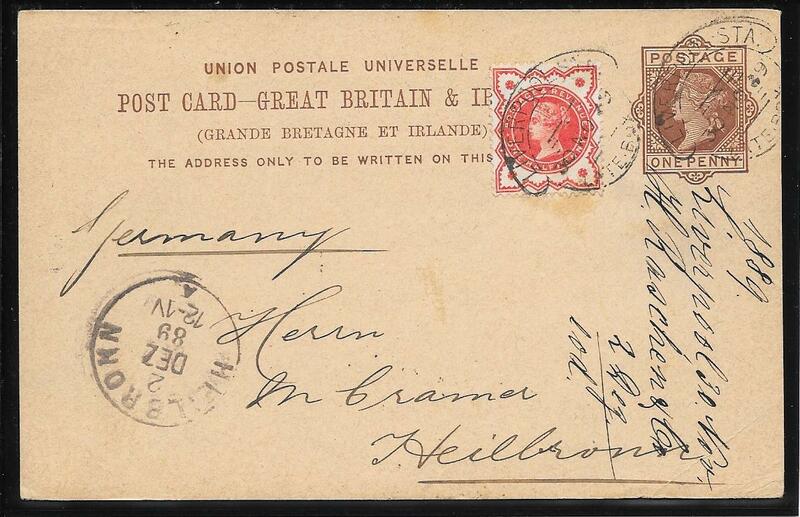 and 6d SG208 on a registered front to England. 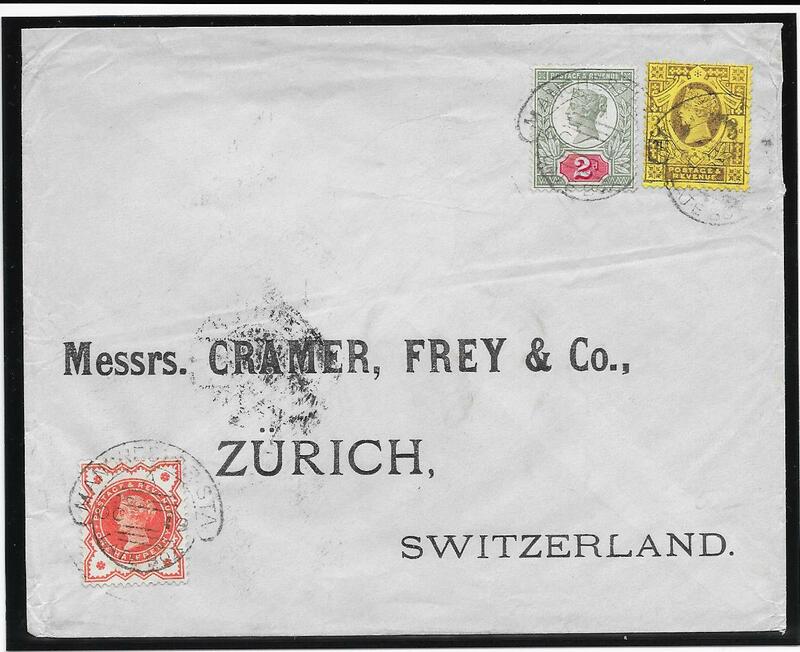 A very colourful franking sent shortly after the release on June 19th 1900 of the British Occupation overprints. the postage and registration fee was paid by the 'jJubilee' 6d. An attractive item and a very scarce usage of this 6d. 151703. 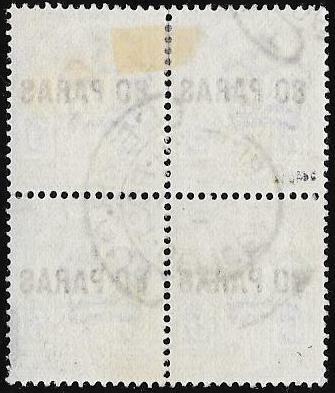 1/2d SG197, Control G with perforated bottom margin: a fine mounted mint example. 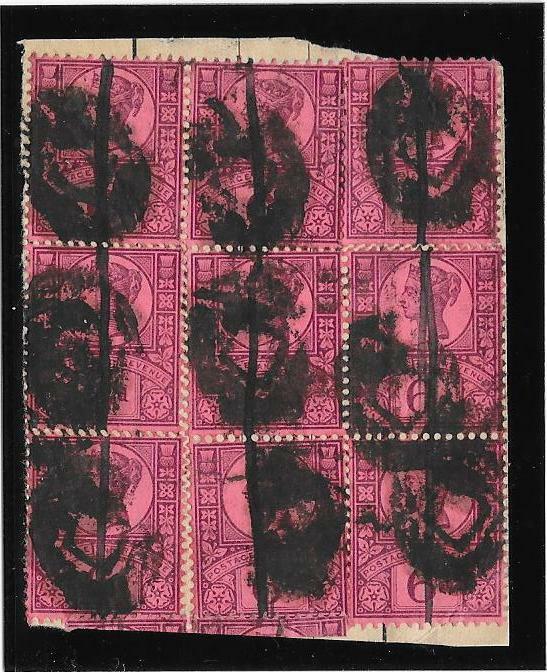 The browning on the front of the stamp and the browning overall of the gum is a trick of the scanner. and a small gum thin at the left as seen in the scan. and the stamp itself has an overall 'fuzziness' in the printing indicative of a Dry Plate. This is the FIRST such variety we have seen on ANY Control letter of this issue. The crown watermark is also displaced. A rarity which displays well these unusual characteristics. 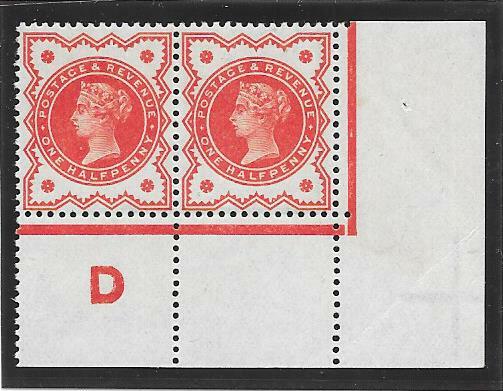 a very fine unmounted mint corner marginal strip of three. as seen in the scan and a very light small gum wrinkle. indicating that this sheet came from the left half of the 480 stamp Mill Sheet. The orange dot in the right margin is a guide for the guillotining of the Mill Sheet in a vertical direction. 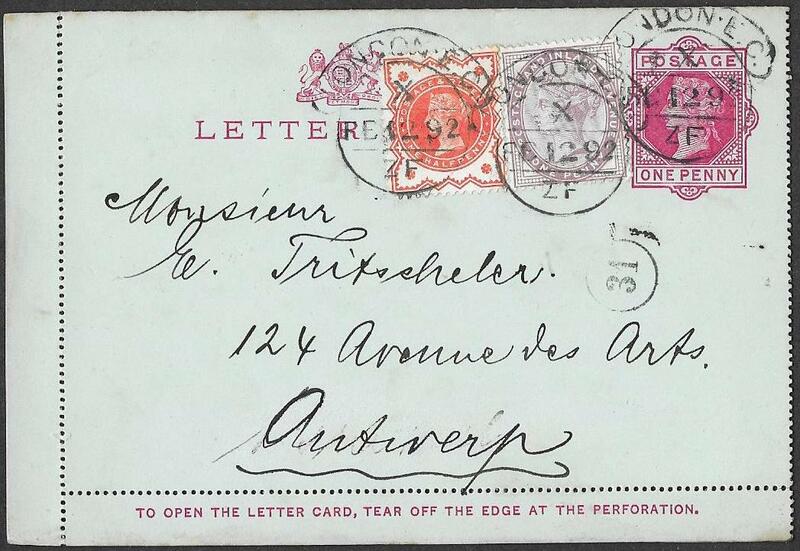 The Control letter M shows damage/wear and the bottom margin is partially doubly perforated. An attractive example with interesting features. 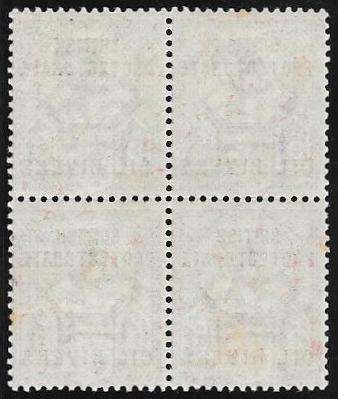 the very scarce perforation of the sheet by a vertical comb perforator. and is hence very scarce and is seldom found in such a large block. are indicative of this type of perforator. The 'Jubilee' line rule in the bottom margin shows two adjacent plate cuts. of the right hand side of the 480 stamp Mill Sheet. 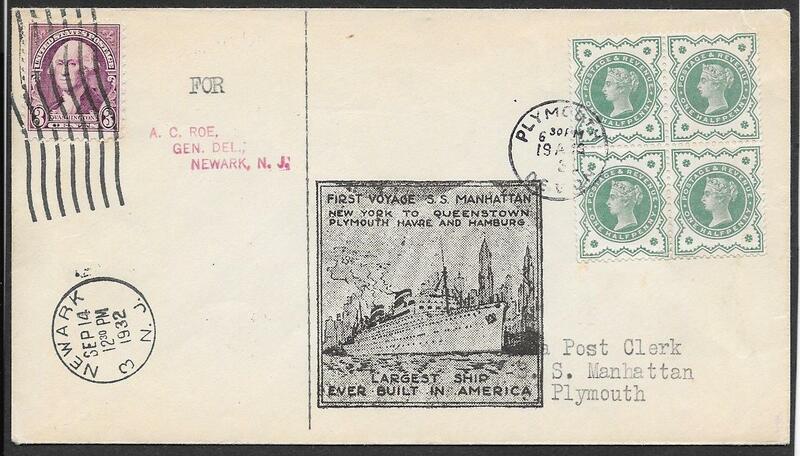 unmounted/mounted mint, left stamp with part gum and with the usual perforator. 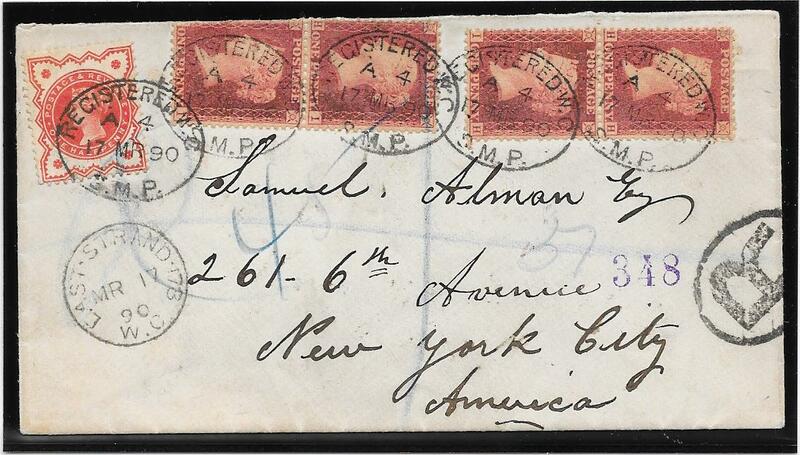 Very fine corner marginal pair, unmounted/mounted mint, corner gum wrinkle top left on the control stamp. indicate the usage of a vertical comb perforator, SG Spec KC23. 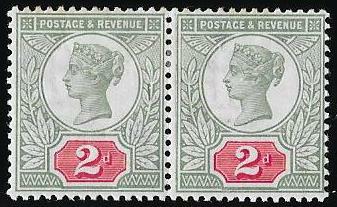 Both control items have the same plate cut markings in the Jubilee rule and are hence printed from the same plate. The vertical comb perforator was used less frequently than the normal perforator and is hence scarcer. The pair are printed in the scarcer bright blue-green shade. Both pieces show a small cross watermark in the bottom right corner margin as seen in the scan. This shows that both sheets came from the right hand side of the 480 stamp Mill Sheet. A very scarce/rare matched pairing. 151700. 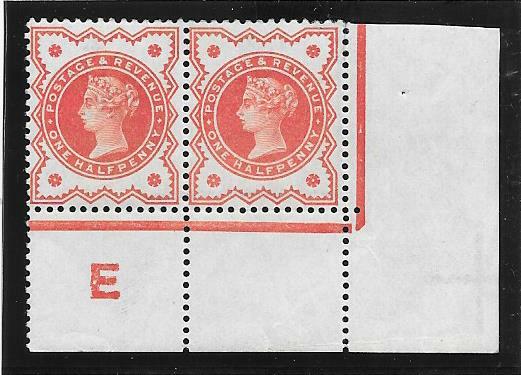 1/2d SG213, superb unmounted mint corner Control strip of three with perforated bottom margin. Printed in the scarcer bright blue-green shade, there is partial double perfing in the bottom margin. indicates that the sheet is from the left hand side of the 480 stamp Mill Sheet. The green dot in the side margin is a guide for the guillotining of the Mill Sheet in a vertical direction. A very fine and attractive control piece with interesting features. and by an Indian Overland Postage Due 5. 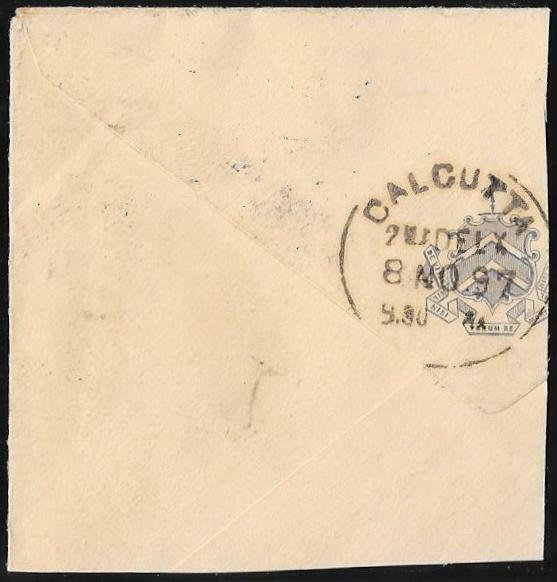 On reverse is a Calcutta date stamp for November 8th 1897.
on envelope to Colchester, rear flap missing, no postal markings on reverse. 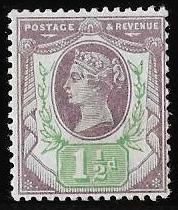 The Control stamp shows the variety, 'dot in oval under 'H', Spec K27: the cancellation leaves the variety clear. Have previously not seen this variety in other than a used single and never on a cover. NB: this is a brown envelope but an even colour overall and not 'patchy' as in the scan. a remarkable strip of five with four TONBRIDGE cds's for July 28th 1896. 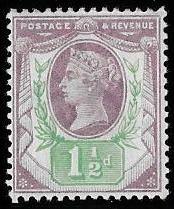 The central stamp has a light vertical crease and the overall condition is finer than the scan. Marginal red dot in the side margin. A very rare multiple and the longest used control strip from this issue we have seen. Dame Street DUBLIN cds's for 27th September 1901.
illustrated in 'The Handbook of British Perfins' by Nelson. There is no separation of the perfs horizontally between the rows. was folded in two before the perfinning of the stamps. Examination of the horizontal join of this block does show evidence that it was folded along this join. The last time we were able to offer an example of this City of Dublin perfin was in 2001. This was on a single used 1d lilac: the perfin was upright and it sold for £18. A very rare item indeed which is likely to be unique. 151694. 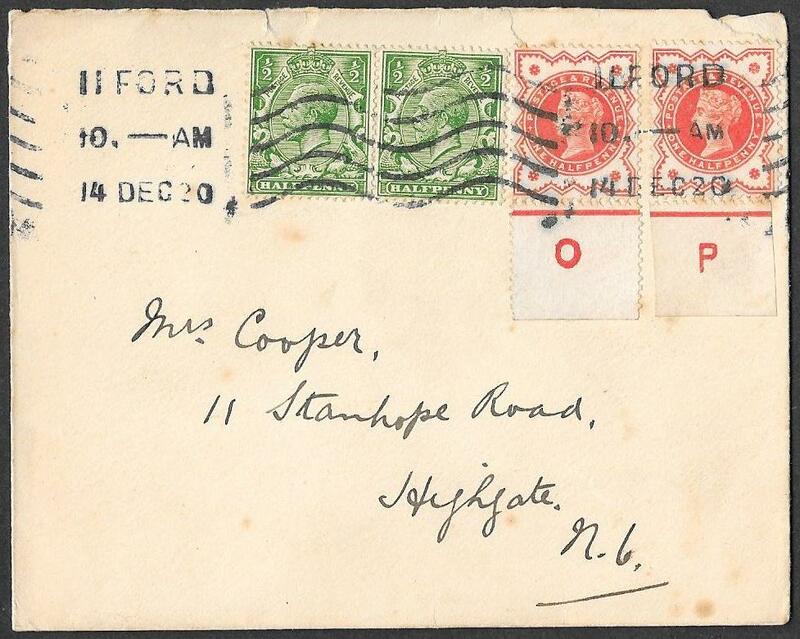 1/2d SG197, Controls O and P on an envelope, roughly opened, to Highgate, London. 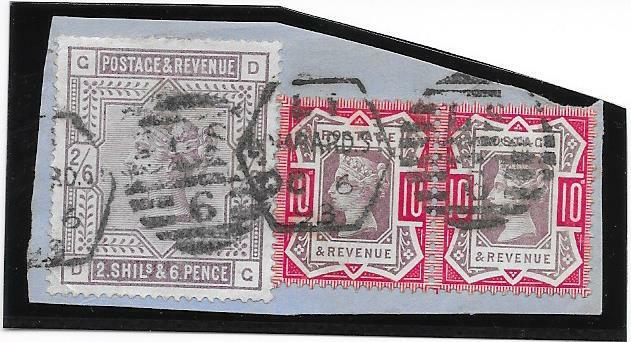 Pair of KGV 1/2d's and all tied by an ILFORD machine cancellation for December 14th 1920. The Half penny SG197, was demonitized in 1915. 151695. 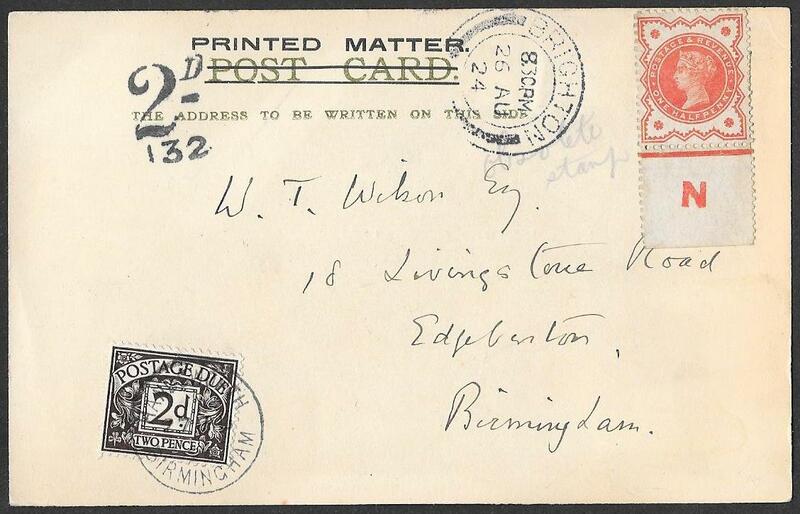 Fine postcard from a Cleric in Brighton to Edgbaston, 26th August 1924.
wrote 'Obsolete stamp' next to it: the half penny SG197, was demonitized in 1915.
a Postage Due 2d stamp added and franked with a Handsworth cds for August 27th 1924.
unless of course they were a stamp collector! 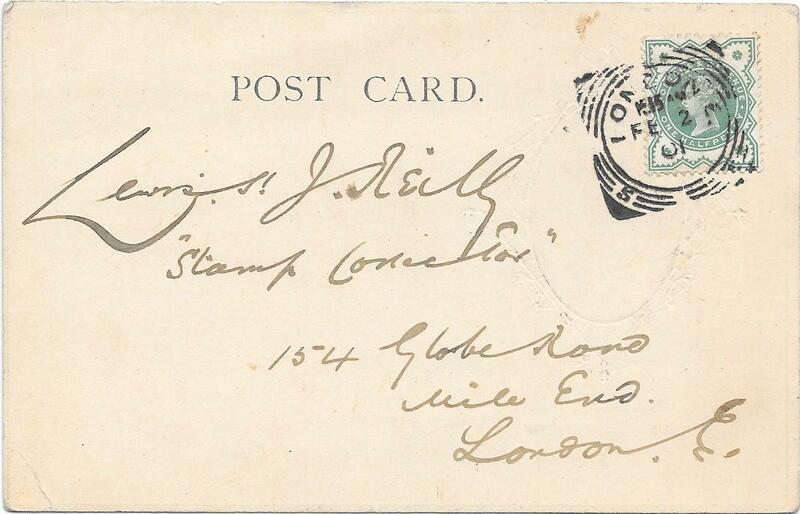 NB: postcard in finer condition than the scanned image. NB: the internet picture is of HMS Majestic going to sea. the scan does not show the very fine green of the Duty Plate. The Duty Plate in the definitive condition before any wear and tear. Priced by Gibbons at £725 in their latest, 2011, Edition of QV Volume 1. A rare example in such fine condition. 151657. 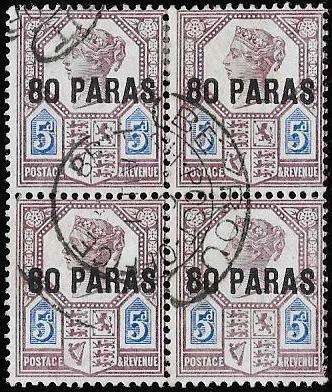 SG198, three halfpence, five mounted mint examples, some creasing, gum creases and hinge remains. the second, third and fourth examples, show wear around the leaves and damage to berries at the left side. 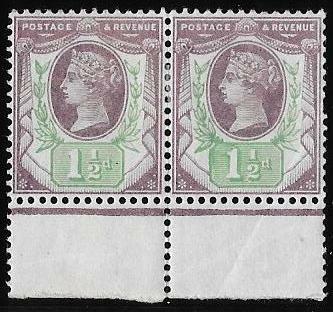 These are pre-repair states of the well-known variety: Spec K29e 'Deformed leaf, Duty Plate 4, Row 19/1'. and a number of the leaves at the left were strengthened. which Gibbons prices at £800 in the latest Edition, 2011, of QV Volume 1. The pre-repair state examples are rare and the first we have seen. 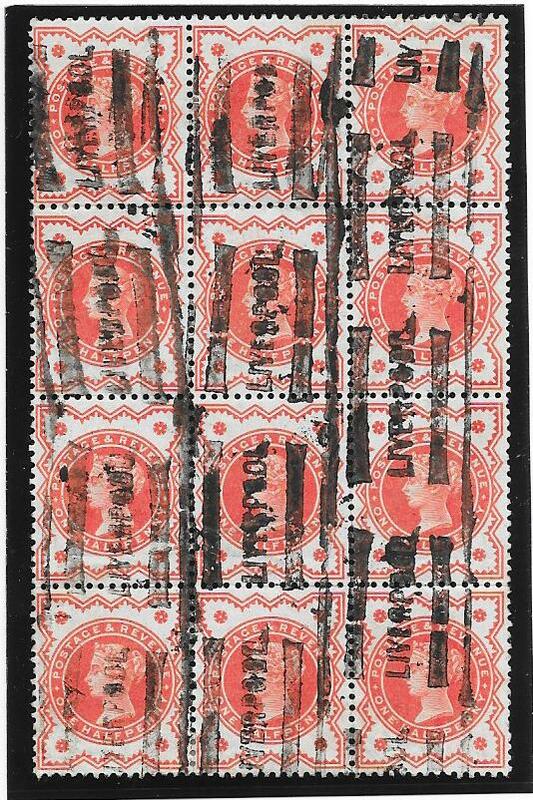 NB: the enlarged image of K29e is from a mint block we previously sold. and are rare pre-repair states of the Major Retouch Variety, Spec K29f . The two fine/very fine non-marginals are mounted mint, with the right hand one having a very small gum thin. 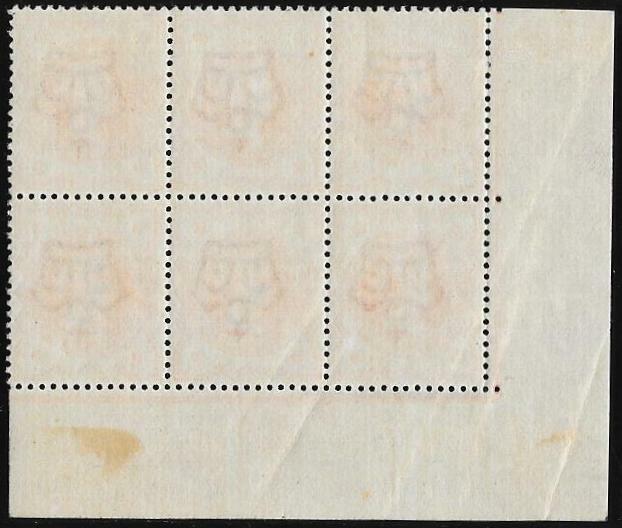 The interpanneau marginal example, Row 10 stamp 2, is superb unmounted mint. the damage around, and at at the top of, the large figure '1'. These three examples are ALL Spec K29f: 'Retouch left of tablet and around large figure 1, (Duty Plate 4, R 10/2)'. further retouched at different times as the retouched area suffered wear. All these attemts were to prolong the lifetime of the Duty Plate and so reduce costs. Gibbon's QV Volume 1, the latest Edition, (2011), page 264.
diagonal crease at the bottom right corner area and can be seen in the scan crossing the interpanneau margin. 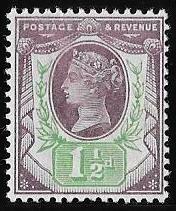 Gibbon's prices Spec K29f at £800 mounted mint in 2011, QV Volume 1.
the Deformed Leaf variety, K29f is the rarer. the attempt to repair it and the subsequent further repairs that were required to stop the Duty Plate from having to be replaced. A unique grouping the like of which we have never previously seen. 151668. 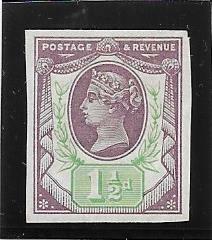 SG211, fine/very fine used with a Windsor cds for April 14th 1903. 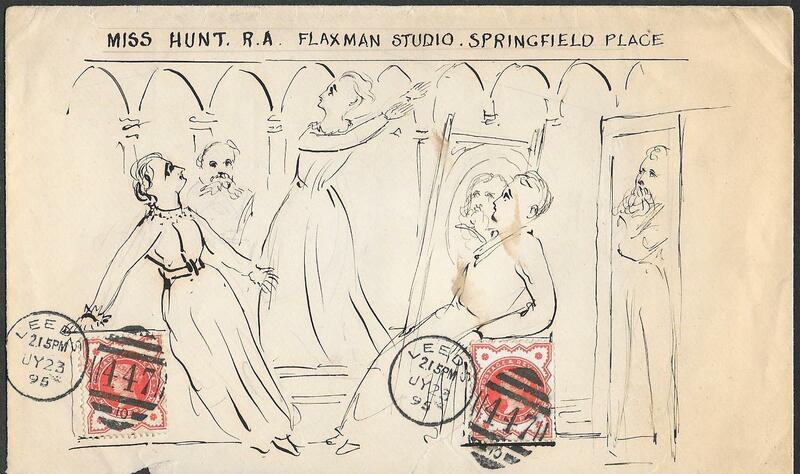 'Retouch left of value tablet and around large figure '1', Plate 4, Row 10 stamp 2'. the most extensive we have seen and also shows the 'falling leaf' variety to the left of the tablet. This variety bears witness to the decline in De La Rue's standards. the careful work put into ensuring they were perfect when accepted by the authorities, ie when proofed. Duty Plate 4 was eventually destroyed on June 28th 1904. 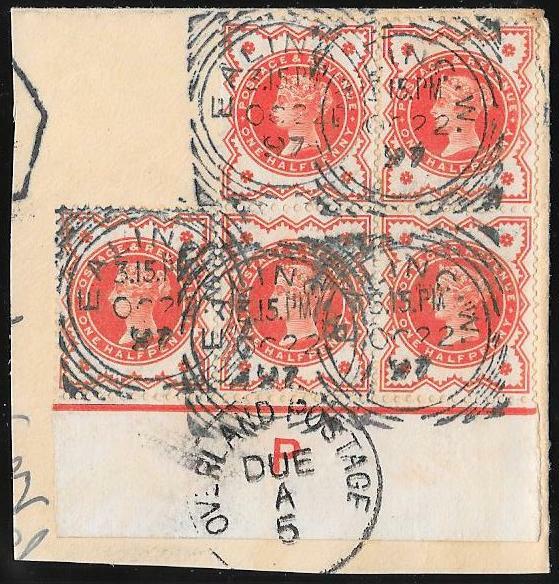 'King Edward V11 to George V1' but at £350 for mounted mint. 151643. Duty Plate only on perforated,ungummed and watermarked paper. There is no reference to a Duty Plate on an ungummed, watermarked and perforated stamp. Perhaps this was done as the next stage in trialling it on the ungummed watermarked paper? this variety appearing previously for sale. A rarity in superb condition. NB: the scan does not do justice to the clarity of the Duty Plate strike. 151647. 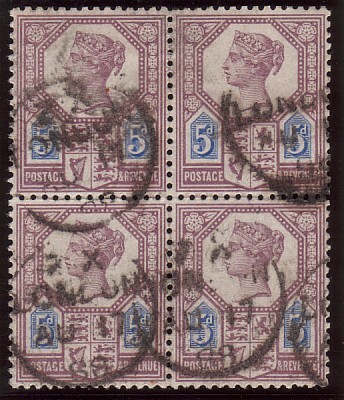 Corner block of Six, SG197, with INVERTED Watermark. 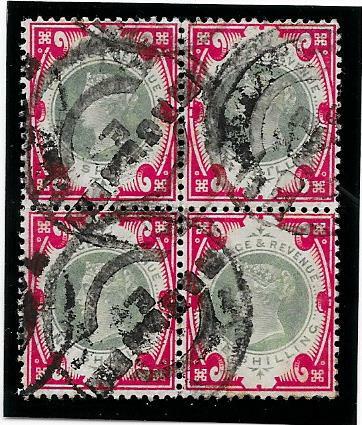 Very fresh and lightly mounted on the top right stamp, the rest are unmounted. 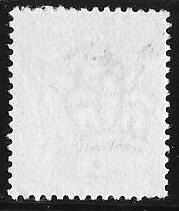 Some diagonal creasing affects two of the bottom stamps as seen in the scan. 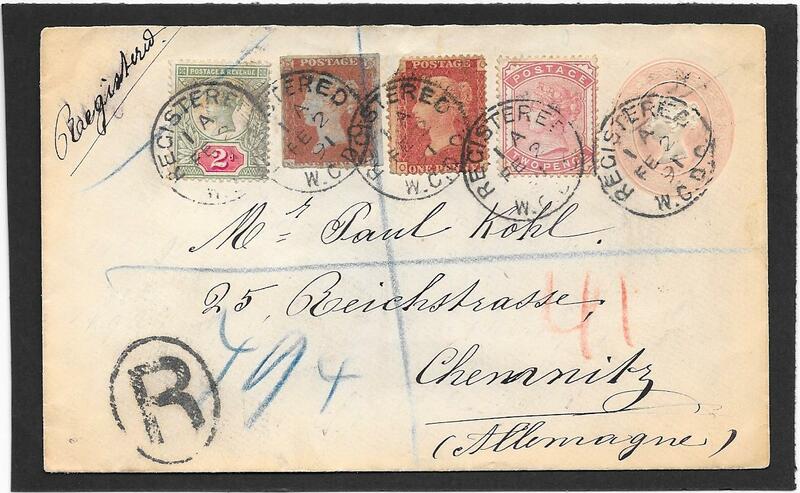 A very scarce positional block with this watermark variety. 151648. 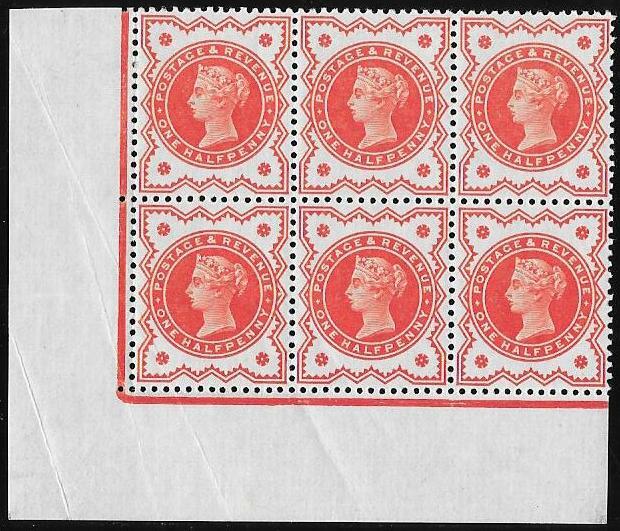 A superb unmounted mint block in Post Office fresh condition. Very scarce/rare to find blocks in this condition. very faint age marks affecting a few top perfs but more obvious on the reverse. 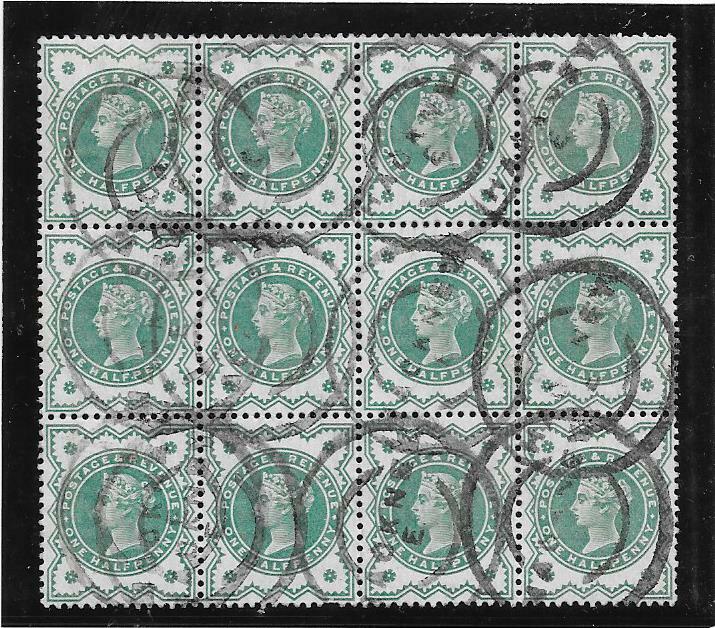 Spec K30b, 'Double Frame Line at Left, Head Plate 5, Row 20/12'. Not very clear in the scan, but the doubling of the frame line runs fully from top to bottom. 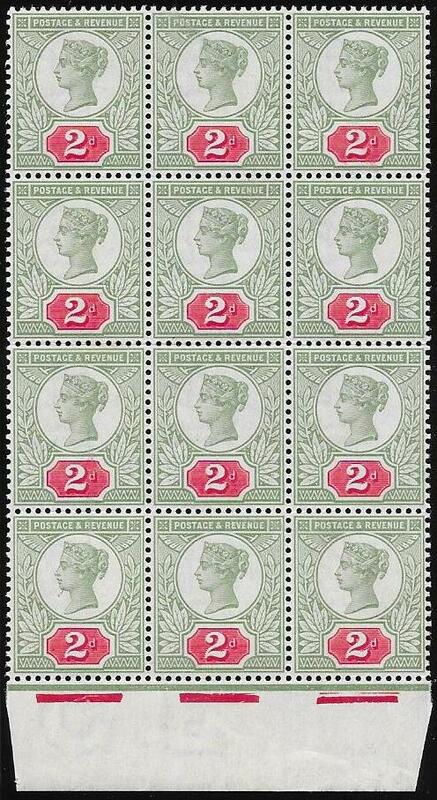 Priced as mounted mint by Gibbons in the latest edition, 2011, QV Volume 1, at £325. 151646. 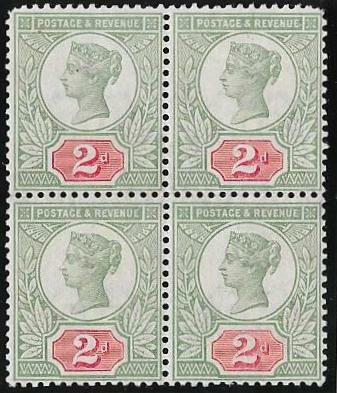 2d SG199, fine unmounted mint block of 4: blunt corner perfs top two stamps. 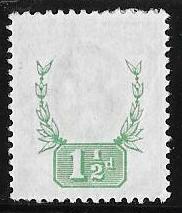 From the colour of the Duty Tablet this block is possibly from the earlier printings of this value. The bottom pair are very fine. Priced by Gibbons at £550 for an unmounted mint SINGLE in this shade. From the shade of the value tablet, this block is from the early printings in 1887. NB: the scan does not do justice to the colours. and some offsetting from another stamp. and the ink is almost suffusing through the paper as seen in the scan. Unlisted by Gibbons but offered for sale by them on occasion. 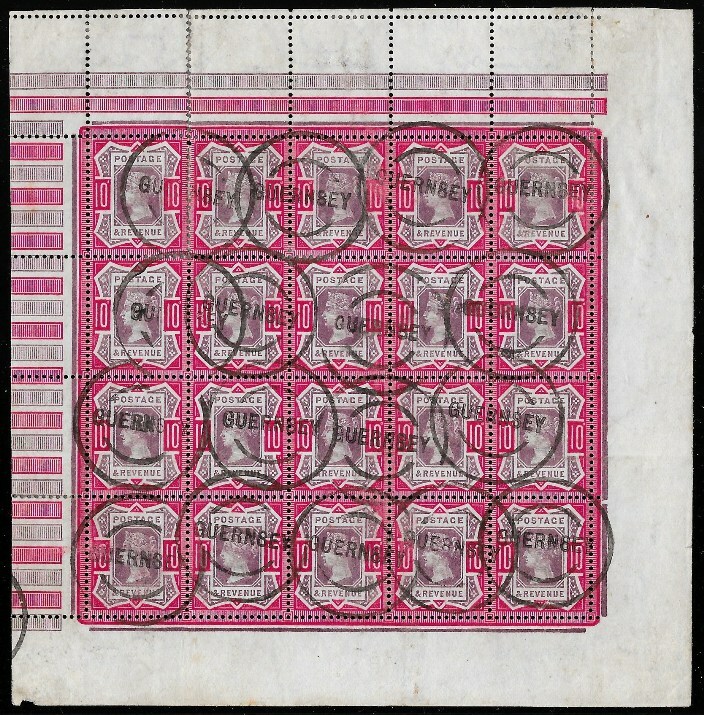 from the same printing and sheet as the unmounted block of 12, Item 151609a. NB: the scan does not do justice to the shades. Unique multiple usage: November 1911. 151577. 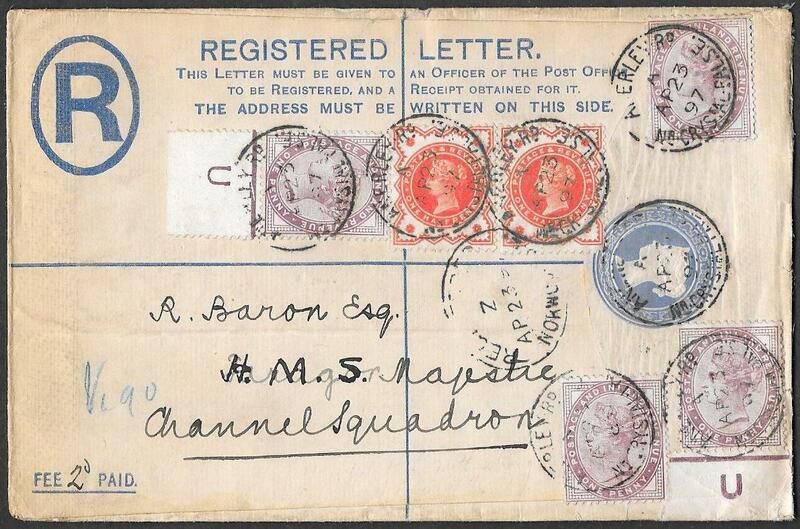 Large envelope, 31.5cm by 13cm, used locally in BRIGHTON, November 23rd 1911 with Brighton cds's on the reverse. 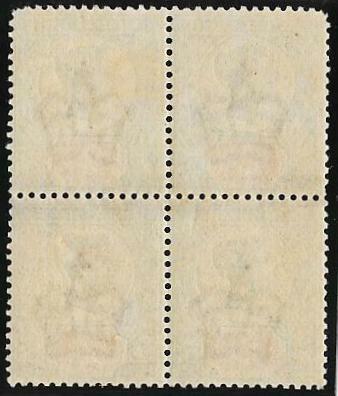 and a single from the interpane area of the sheet with vertical pillars. 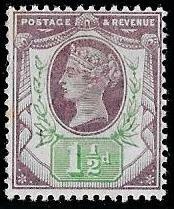 The 1d SG166 was issued on January 1st 1880 and replaced by the 1d lilac the following year. 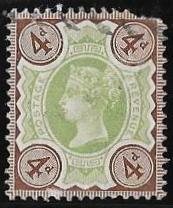 The 1/2 SG187 was issued on April 1st 1884 and replaced by the 1/2d vermilion on January 1st 1887. SG166 and SG187 were demonitized on June 1st 1901. 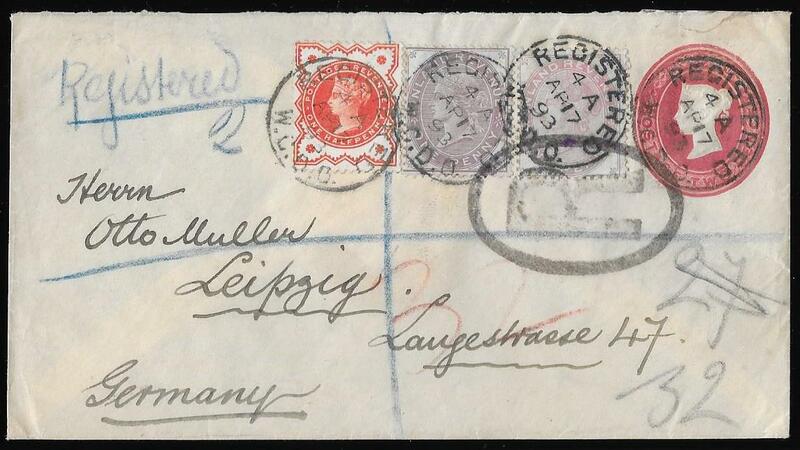 Although not demonitized until July 1st 1915, SG213 was replaced on January 1st 1902 by the KE 7th issue. A remarkable and unique item in fine condition for its size. with a 1d lilac and a 'Jubilee' 1/2d vermilion tied by the Preston Rd, Brighton duplex, May 29th 1891. 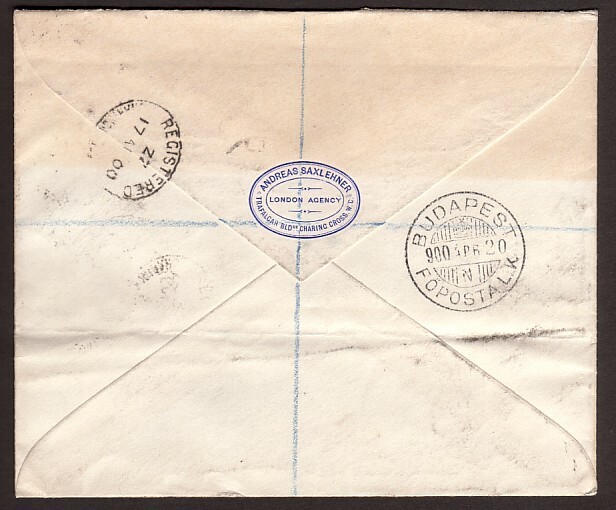 The envelope has been opened at the base not the top and has a small peripheral fault at the centre top. we have been able to offer on full cover. TRUE deep green shade which the scan does not show. Tied to a small piece by a London EC scroll for JANUARY 2nd 1887.
specialising in the 'Jubilee' issue, this is the EARLIEST usage we have seen. does NOT quote for this stamp used on its day of issue. 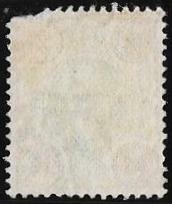 SG214: scarce block fine colour. some creasing/wrinkling but priced by Gibbons at £700. The green is much deeper than in the scan. posted on board at Plymouth back to America. 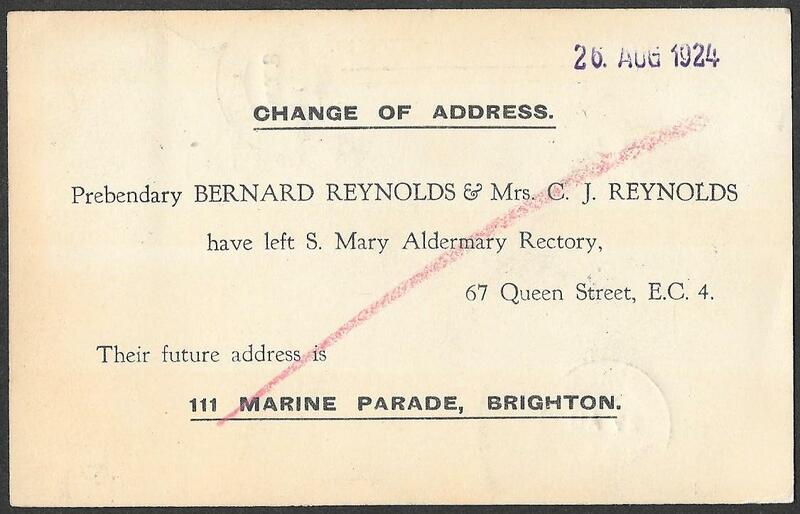 was affixed and neatly cancelled by a Plymouth cds for August 19th 1932. Newark, New Jersey cds in purple on the reverse. Very unusual and scarce item. 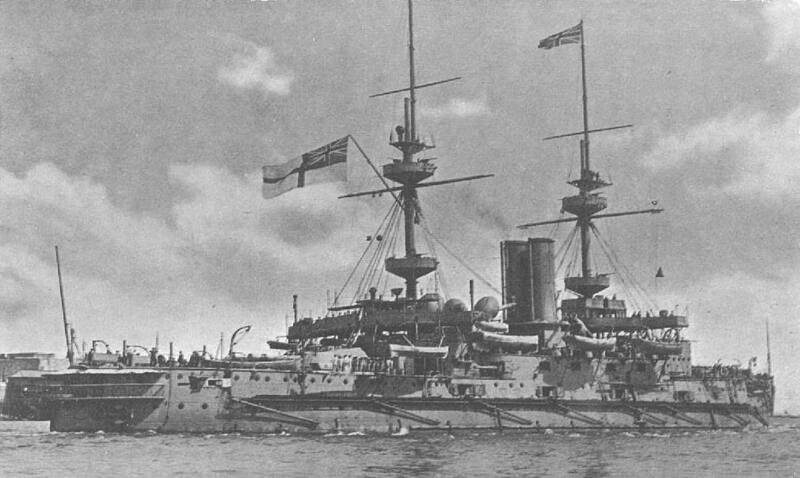 NB: there is a wealth of pictures and information about this famous ship on the internet. 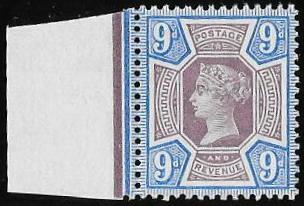 a superb UNMOUNTED mint corner pair of this rare variety, SG spec KC22b. Gibbons priced this variety mounted mint at £250 in 2011 - last Edition of QV Volume 1.
and it is hard to see how a finer example could be found. 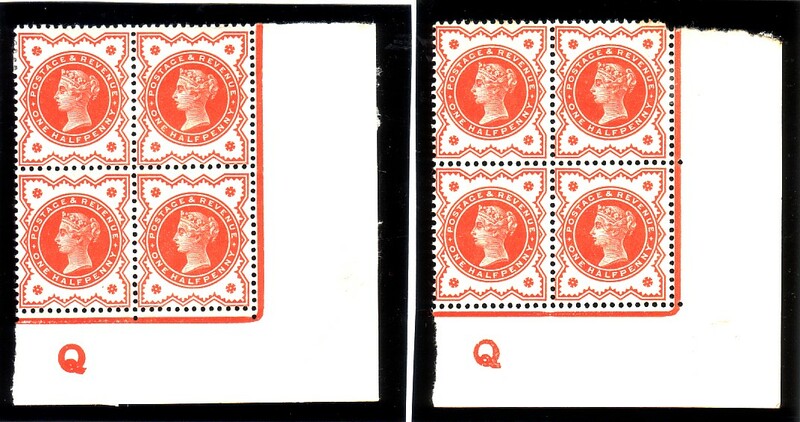 SG Spec KC6, priced by Gibbons at £350 for a mounted mint SINGLE in 2011 - last Edition of QV Volume 1. As with the 1d lilac controls, 50% could be added for a corner control pair. 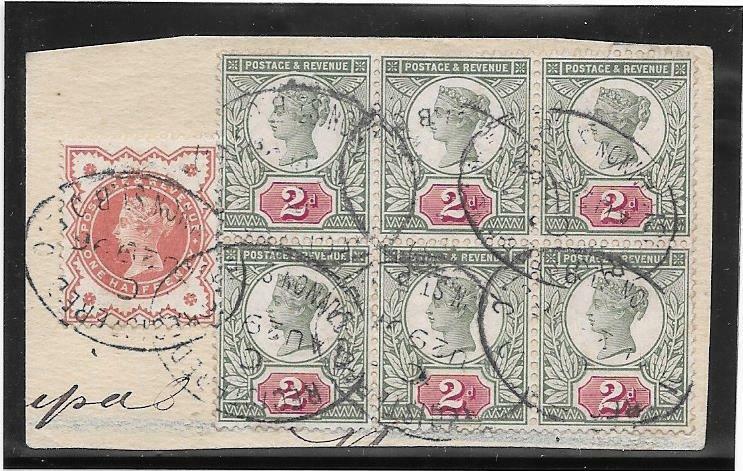 with this control variety and that too was mounted mint: it sold for £525. An opportunity to acquire a seldom offered variety. 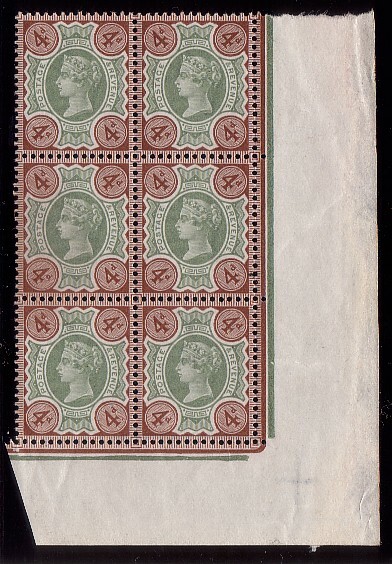 showing this very scarce variety, SG Spec KC22c. Priced by Gibbons at £40 for a mounted mint SINGLE in 2011 - last Edition of QV Volume 1. Rarely offered in such fine condition. 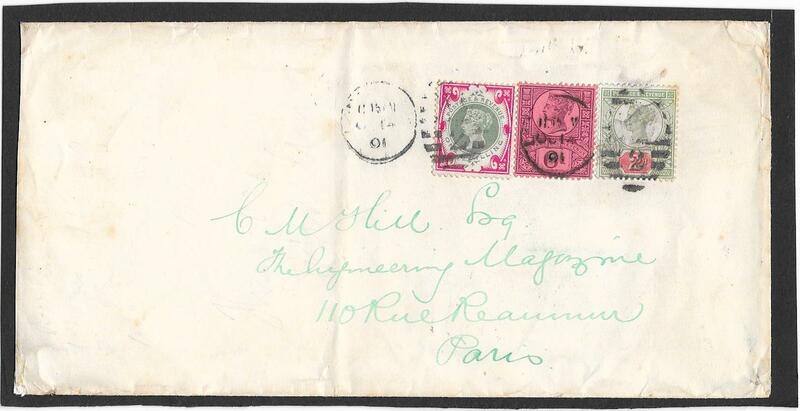 SG214 on envelope to Paris. 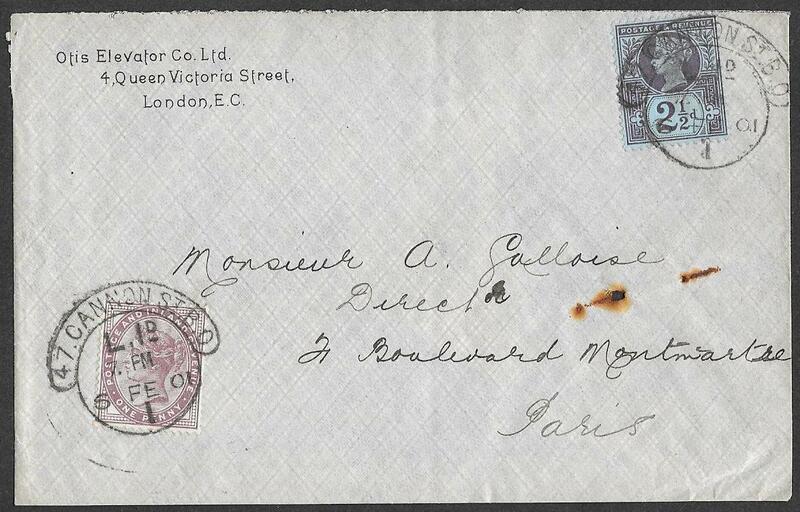 from London to Paris, October 14th 1901, with an interesting address: 'The Engineering Magazine'. The postage totals 1/8d ie eight times the basic 2 1/2d for 1/2oz therefore 1/8d paid for up to 4 oz. 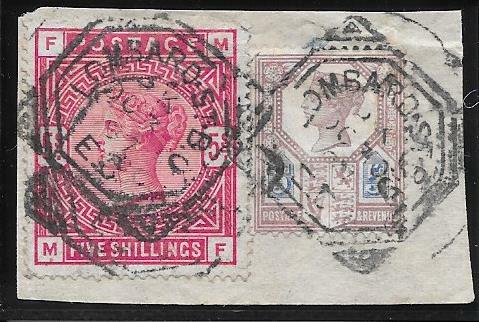 The franking is 1/- SG214, 6d SG208 and 2d SG200 in a shade close to or at the scarce SG199. The stamps have each been affixed in a very precise way - by an engineer or scientist? 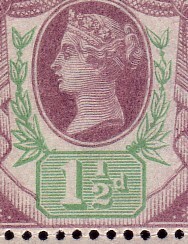 only SIX are a non-registered usage of which two have the 1/- perfinned. 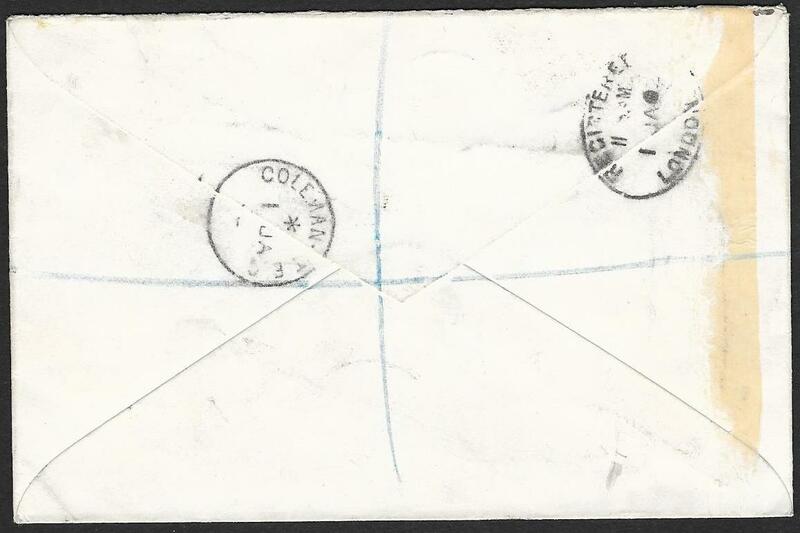 Only one cover has the same franking of 1/8d and this is a large format envelope and each stamp is perfinned. right hand side of the envelope and browning of the 2d are both tricks of the scanner. 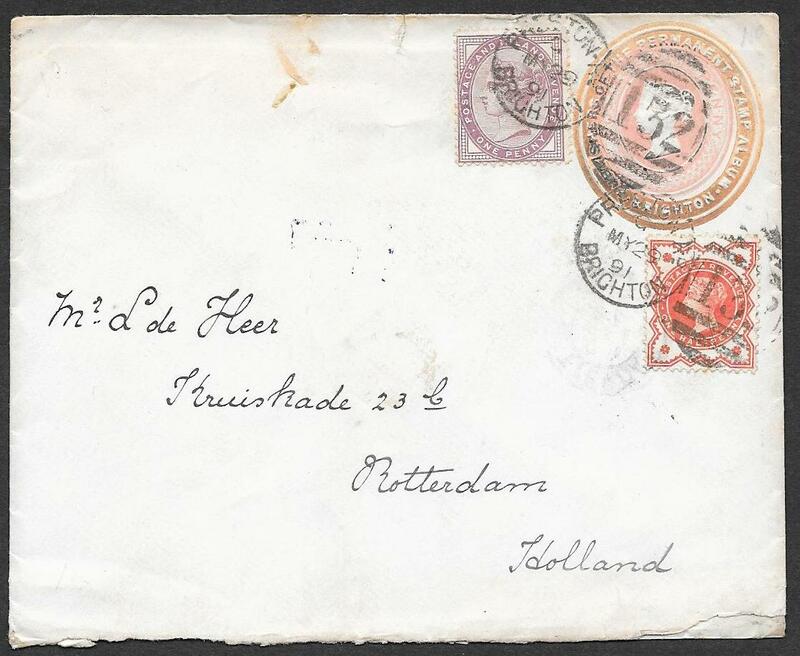 An attractive cover with a rare usage of the 1/-. Gibbons prices SG214 on cover at £1,000. 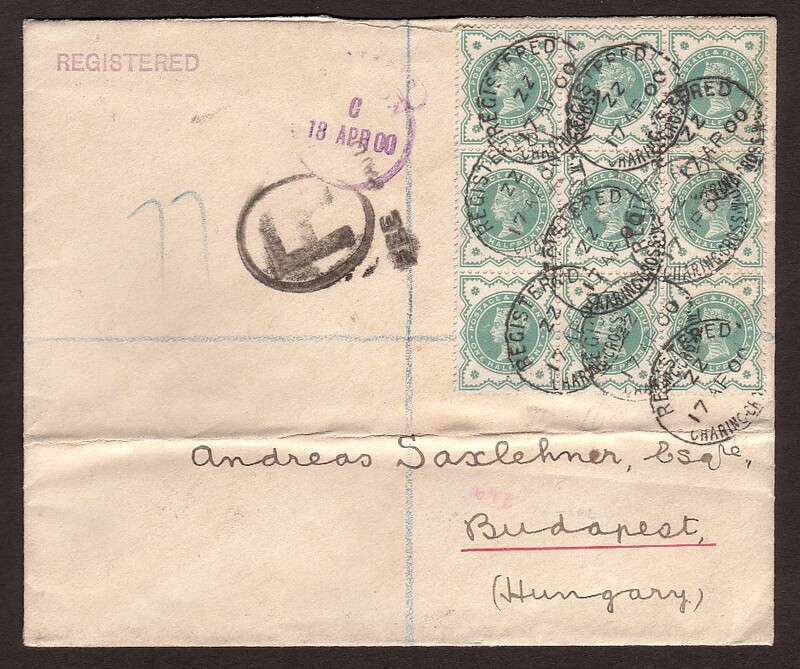 A rare item and certainly one of the finest covers extant with the 1/- green and carmine. 151328. 4d SG 205: fine used tied to piece by a Jersey Registered oval, April 24th 1890.
leaving QV's head almost completely clear of the cancellation. 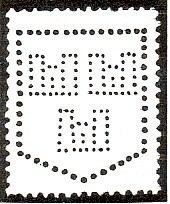 hence this stamp is from the Second Marginal Setting. Only the second USED example we have seen from this setting. 151337. 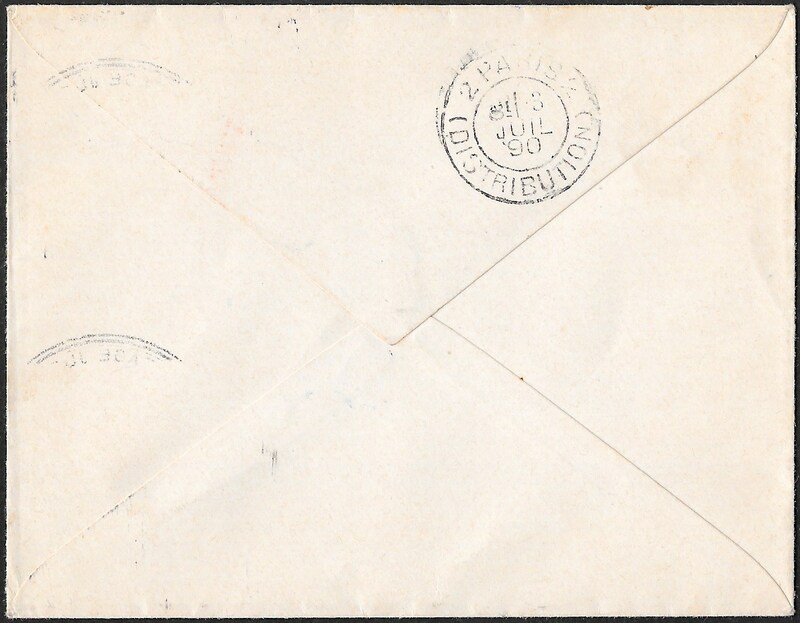 Mourning envelope to London, 1d postage paid by two 'Jubilee' 1/2ds, SG197. only instance we have seen of any 'Jubilee' issue being reused in this way. Rock-Ferry Birkenhead square circle for June 16th 1892. 151271. 1 1/2d, SG198: superb UNMOUNTED mint, Post Office fresh, block of 6. 151273. 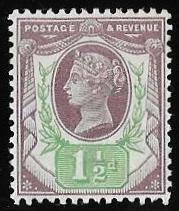 4 1/2d, SG206, Very fine/superb UNMOUNTED mint, one stamp light toning. Attractive FULL PANE of 20 with interpane margins at left and the top. 1132 1887 ‘Jubilee’ 1 1/2d, SG198 deformed leaf variety. has the smallest trace of being hinged. Duty plate 4, row 19 stamp 1, spec K29e. ie row 20/1, also show possible retouching and strengthening of the design. Certificate of Posting of an Insured Letter No 16’, by a George Street Edinburgh cds for December 7th 1887. Clear RPS Certificate for this difficult shade from the early printings. Certificate of Posting of an Insured Letter No 17’, by a George Street Edinburgh cds for December 7th 1887.